After watching Batman v Superman during the weekend the DC Universe is not done yet with tie-ins. 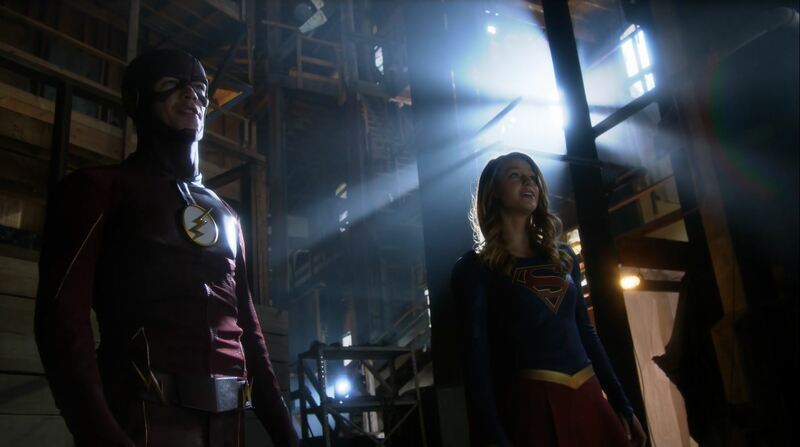 Last evening Supergirl teamed up with The Flash on CBS. 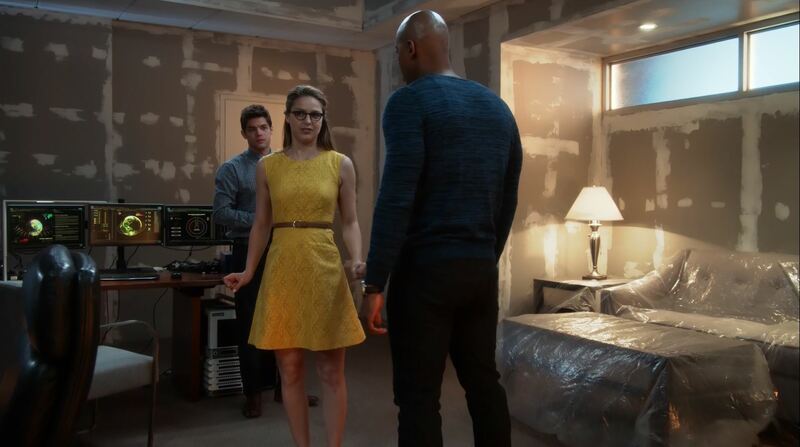 The result was an episode that made sense and was great fun, though it could not entirely hide the Supergirl silliness. A franchise crossover had been mulled for some time. At least two of Supergirl’s developers previously created Arrow and The Flash, both on The CW. 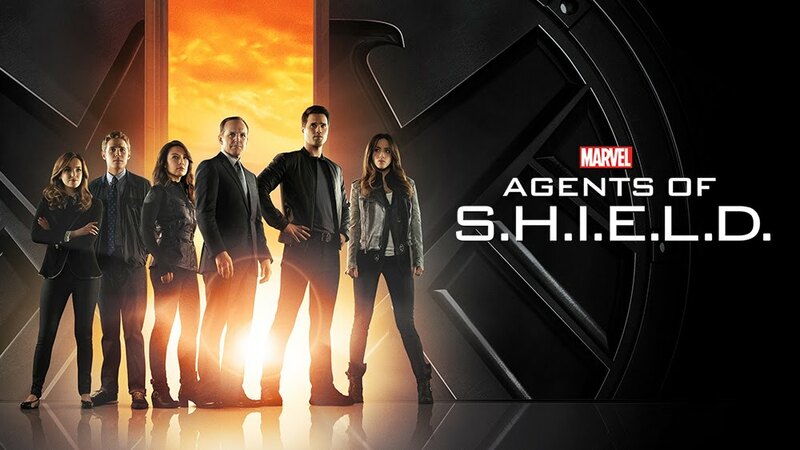 I watch all three shows intermittently, they are not really sci-fi as much as they are fantasy/super-hero stuff. Yet, I do appreciate it when a good idea is turned into a good episode. Especially after the near train wreck that was Batman v Superman. This episode starts out as a regular Supergirl story. The not so likeable Siobhan learns she has a special voice power that prevented her from plummeting to her death. At the DEO HQ she learns little else, meanwhile at CatCo Kara (Supergirl) is questioned by Cat about her lack of relationship with James. Kara tells her James wants space. 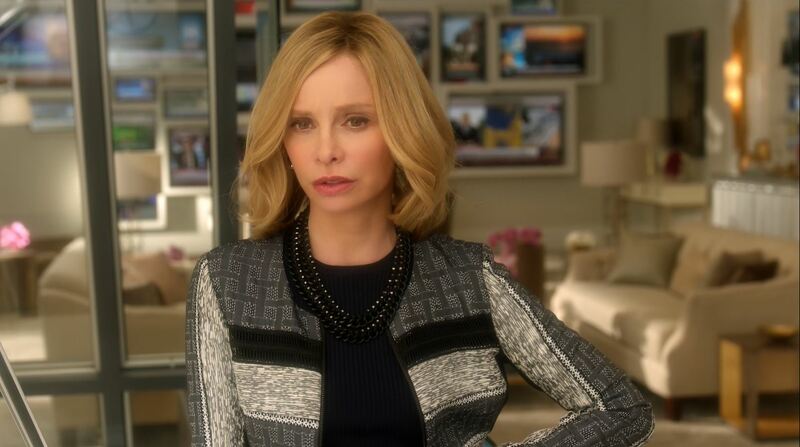 At that moment Siobhan storms into the office and takes out her anger on Kara, whom she blames for losing her job. Kara is pushed out of the window by Siobhan’s voice. At that exact time, in a way that is sadly conveniently not explained a portal opens and The Flash speeds through to help what he thinks is a hapless Kara falling to her death. 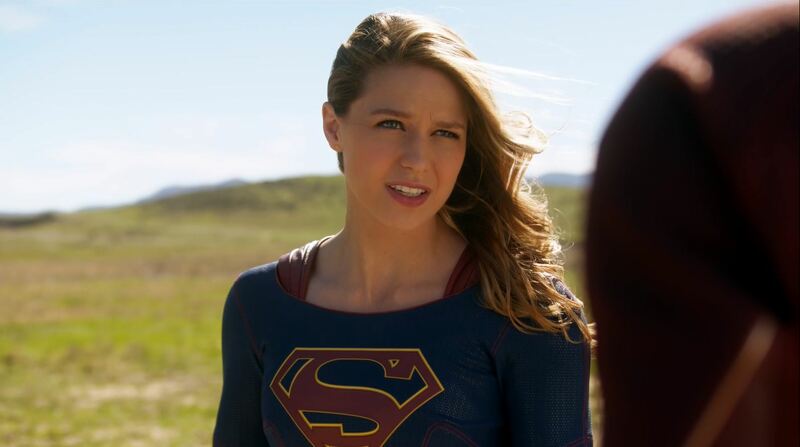 With his speed he manages to take her to the desert where Kara manages convince her she is Supergirl. 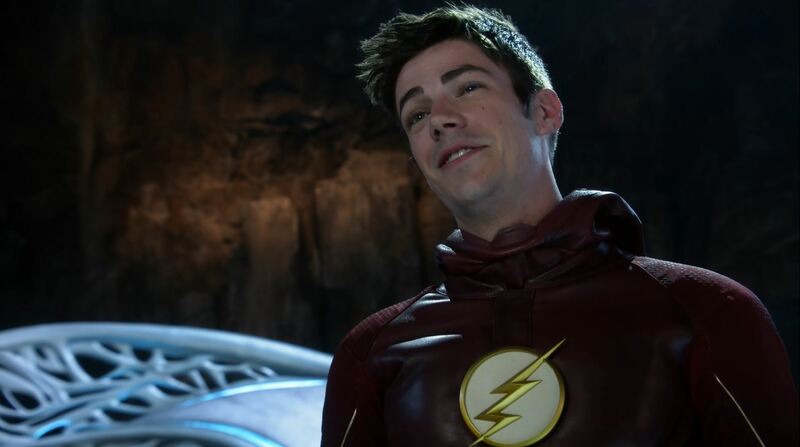 The Flash responds with “You’re who know?”. Back at CatCo Kara introduces The Flash (Barry) to James and Winn. Barry suspects that due to his shear speed he has travelled into an alternate reality within the multiverse. Siobhan visits her aunt who tells her that her sudden power is a curse. The only way to get rid of the curse is to kill the person who wronged her. Siobhan plans to kill Kara, but is afraid of Supergirl as he doesn’t know they are one and the same. With her voice she manages to shatter Livewire’s cage at the DEO. From an abandoned warehouse Livewire and a newly minted Silver Banshee plan to kill Cat, Kara and Supergirl. The episode trails off every now and then with Supergirl silliness. Too often the pace is interrupted by references to Kara and James’s on/off relationship. The scenes that are meant for comic relieve and character development more often than not stop the action just when it looks as though Supergirl and The Flash will make their move. This crossover episode didn’t need any of it. Kara and Barry decide to team up to catch Livewire and Silver Banshee. They track them to an abandoned warehouse, but have to flee when their opponent start to get the upper hand. Back at DEO Kara receives a set of eardrums to filter out Silver Banshee’s scream. At CatCo Cat manages to get herself kidnapped by Livewire despite warnings. The second showdown between the two pairs of superheroes doesn’t proceed much better. Livewire threatens to attack a helicopter but Supergirl manages to intercept the blast. Just as Livewire wants to administer the coup-de-grass a firefighter hoses her down. 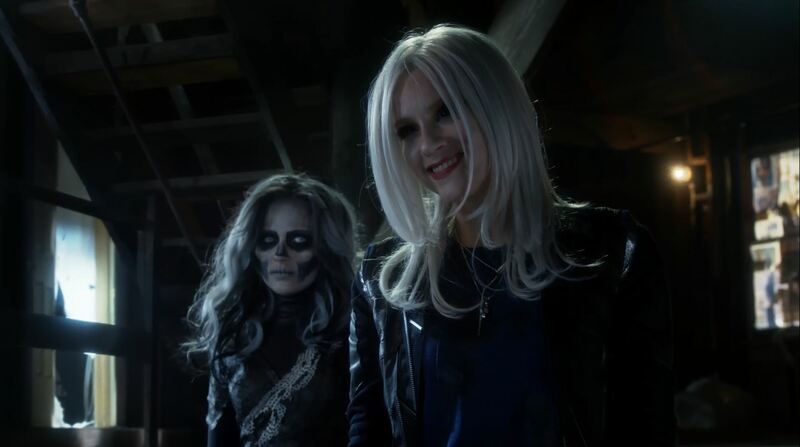 Livewire loses control and electrocutes Silver Banshee which knocks them both down. For Supergirl the fight ended with the return of public confidence. The Flash devises a way to return to his reality by speed-racing Kara. Before he departs he suggests she try to make it work with James. That evening at her apartment Kara confesses her feelings and kisses James. James walks out of the door emotionless. Kara watches as the whole of National City marches emotionless through the street. Elsewhere it is revealed that Non is behind the effect. The creative staff behind this episode really managed to make this crossover work. It is nothing but fun, from The flash getting everybody ice cream cones to Cat finally revealing she knew Barry was The Flash all along. However, some vestiges of Supergirl that are not very good also permeated into this episode. It would have been better if the focus had been kept on the two primary heroes and their inter-dimensional cooperation. Also, The Flash acts a bit like a Deus Ex Machina on numerous occasions. Luckily he does not in the final showdown with Livewire and Silver Banshee. 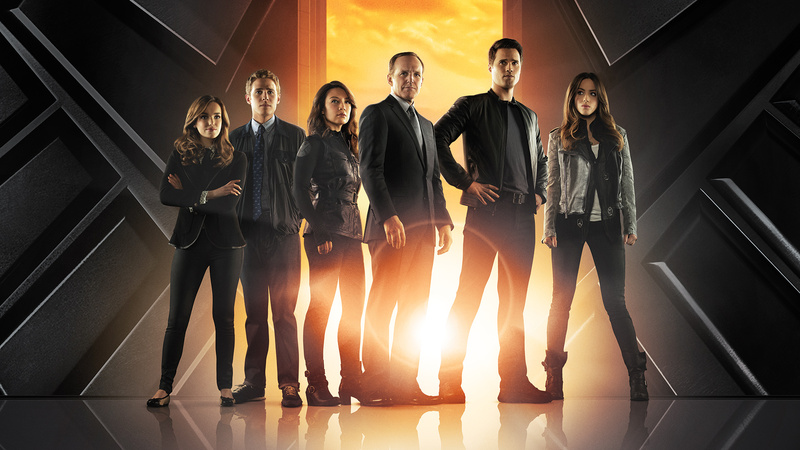 Agents of S.H.I.E.L.D S1Ep10 ‘The Bridge’ Preview! Previous story Batman v Superman: Dawn of Justice. DC Extended Universe has finally arrived!